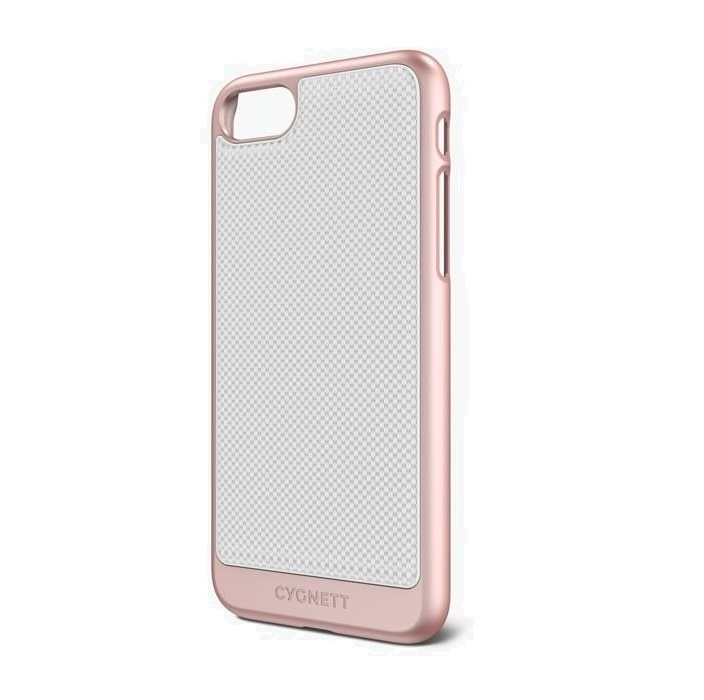 The UrbanShield Premium Case for iPhone with Rose Gold detailing, offers an extremely functional, precision-machined slim statement case and is perfect for a corporate individual who values fine materials and finishes. • Metallic finish on the outer edge frame in a Rose Gold colour with a textured Silicone inlay in White. Perfect for someone who is after a softer, slightly feminine feel that embraces the current trend of soft metal looks and textural luxury. 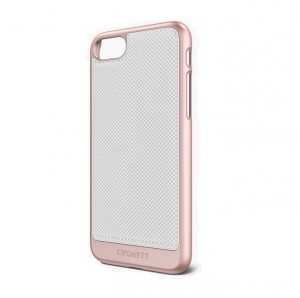 • The UrbanShield case combines great design with premium finishes along with Cygnett classed Slimline Protection offering some defense in a basic drop scenario from scratches and damage to your phone. Each option features a Metallic finish frame with material diversification from Aluminium to Carbon Fibre through to Silicone. The UrbanShield offers a case for someone who enjoys and appreciates a slimline and stylish addition to their phone with some added protection.